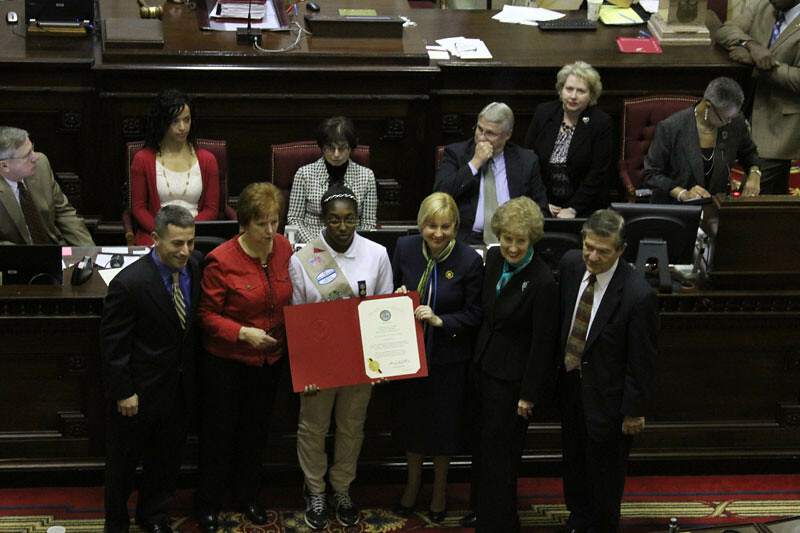 Girl Scouts of Central Maryland yesterday received the official proclamation naming 2012 the Year of the Girl in Maryland by the State Legislature. 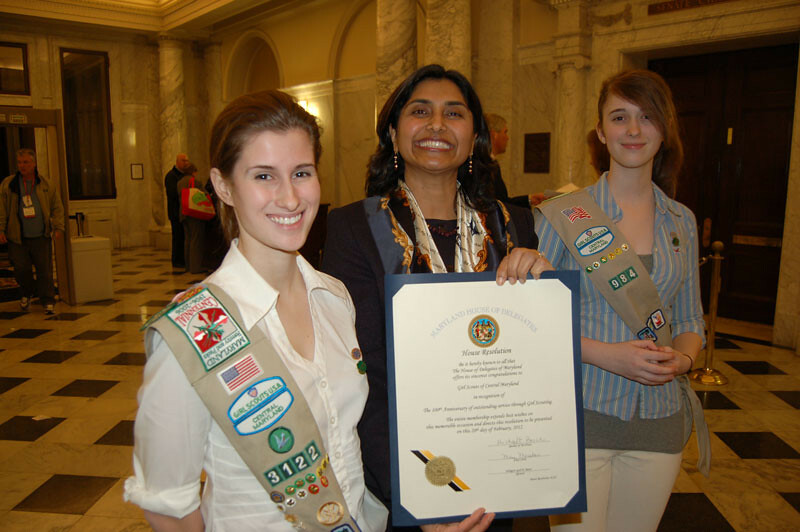 GSCM CEO Traci Barnett and Board Chair, Sheela Murthy received the proclamation with Girl Scouts from across central Maryland. The Year of the Girl is a national campaign with the goal of identifying what impedes girls’ leadership aspirations. Peer pressure, a lack of role models and mentors, unhealthy images in the media about beauty, and bullying from their peers have been identified as common obstacles for girls; the Girl Scout Movement is committed to removing those and other existing barriers to leadership in one generation. Learn more about the campaign here. Vote For Your Favorite Girl Scout Version of ‘Take Me Out to the Ball Game’!